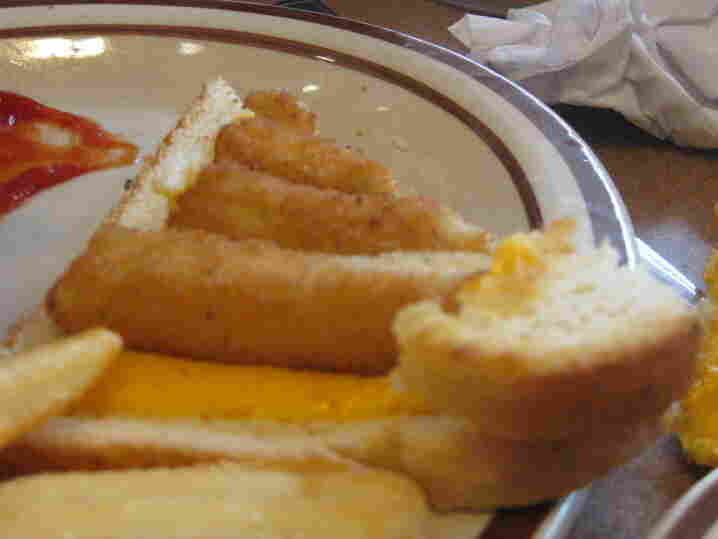 We Eat Denny's Fried Cheese Melt, Which Is Pretty Self-Explanatory : Wait Wait ... Don't Tell Me! 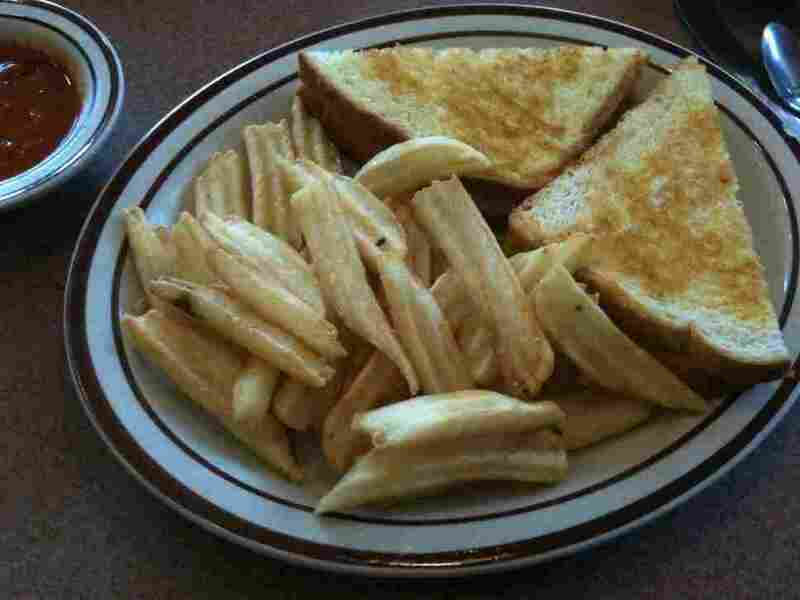 For this week's Sandwich Monday, we try the new Denny's Fried Cheese Melt. That's four fried mozzarella sticks stuffed into a grilled cheese sandwich. Not content to let other nationwide chains be the only ones to commit murder-by-sandwich, last week Denny's unveiled its Fried Cheese Melt. 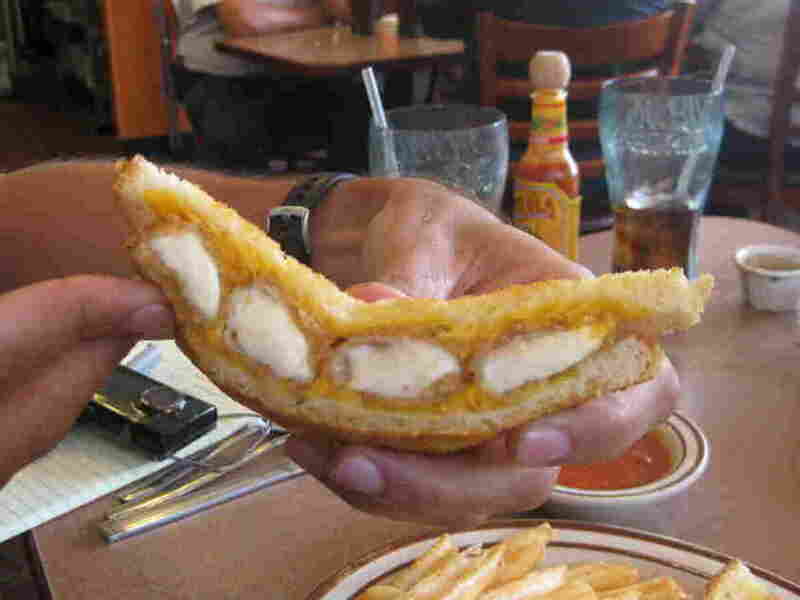 That's a grilled cheese with four deep-fried mozzarella sticks on it. Peter, Mike and I headed out to Oak Park, Ill., to give it a try. Mike: This obviates the need for that awkward question, "Have you decided on an appetizer?" Peter: Yeah, it's like, "Yes, I'll have the fried mozzarella sticks, and I'll have them encased in bread." Mike: It's really got nice layers of crunch. There's the crunch of the grilled bread, then the mozzarella sticks. Ian: Yeah. All the layers, it's Inception in sandwich form. The mozzarella sticks are really just a dream the grilled cheese sandwich is having. It's a good dream. Peter: It really needs something inside the mozzarella stick. Another layer. Ian: So what you want is not so much a sandwich, as Cheese Nesting Dolls. Mike: Maybe like a beef skewer in there? Or pepperoni? That'd be good. 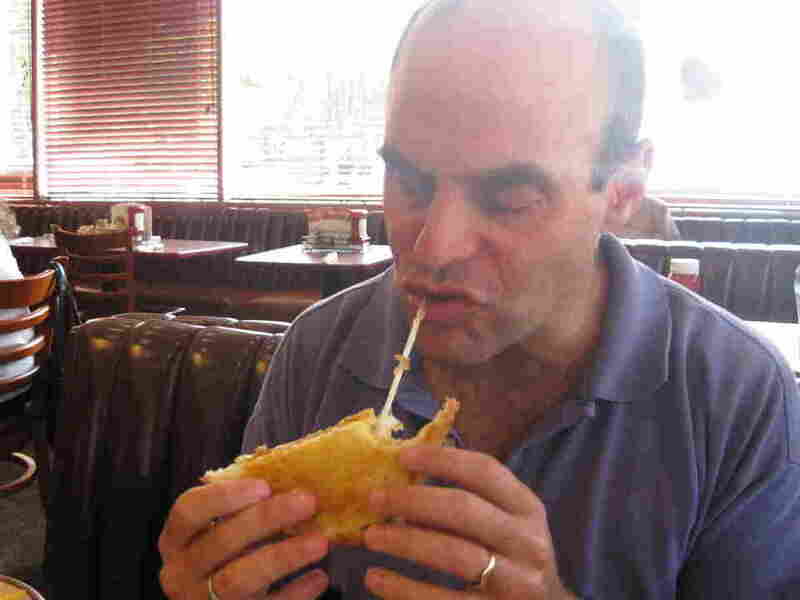 Peter: This is the first significant advance in grilled cheese technology since the sandwich was invented. Mike: I remember what it was like before, in the olden days. Ian: Yes, that's the period historians refer to as B.C. : Before Cheese Sticks. Mike: It's a borderline guilty pleasure. Borderline because I'm not actually feeling any guilt. 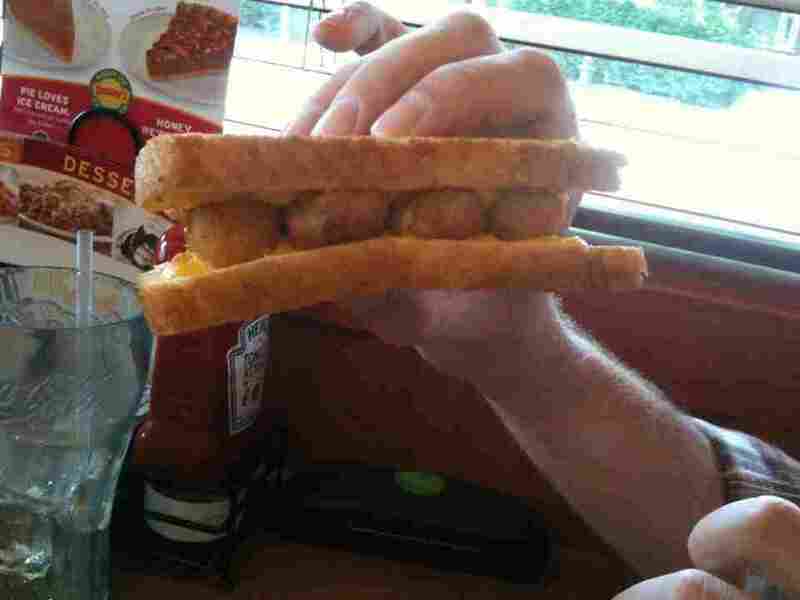 Mike: It's really like the grilled cheese sandwich is smuggling the mozzarella sticks into your stomach.